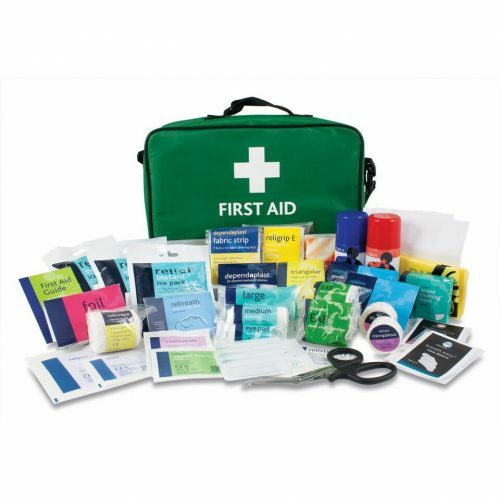 High Peak First Aid Supplies is based at the same address as High Peak First Aid Training. In addition to our classroom’s we have a large office space where all our first aid supplies are packed and posted out. We are currently reviewing our postage and are looking to make some items postage free as well as offering the option to pick up goods. In addition to this, our PDF price list is almost finished and new items are almost ready for showing in the shop area. We have a varied selection of stock that is suitable for equipping a first aid room from Automated External Defibrillators (AED’s) to eye pads. There is also a good selection of first aid kits for the outdoors, so if you are involved in any outdoor activities then we will have a suitable first aid kit for you. If you are attending any assessments for Single Pitch Award (SPA), Mountain Leader Summer or Winter then we can provide you with robust first aid kits that will withstand the outdoor environment. We have a selection of first aid kits for Duke of Edinburgh’s Bronze, Silver and Gold Awards that contain burn dressings which is a requirement under the D of E guidelines. If you work in a high risk environment we now stock the full range of Celox and always have tourniquets in stock as well as trauma dressings. By attending a first aid course at High Peak First Aid participants will have the opportunity to use some of the products we have for sale and to receive discounted prices. In addition to this we have a first aid kit module on each course so depending on which High Peak Wilderness First Aid Module is chosen a participant will gain a thorough understanding on what to put in a first aid kit. Attendance on First Aid at Work courses or outdoor courses allows access to free CPD events such as Celox and Tourniquet training. This entry was posted in first aid at work courses, first aid courses, First Aid Supplies, News, Wilderness First Aid. Bookmark the permalink.